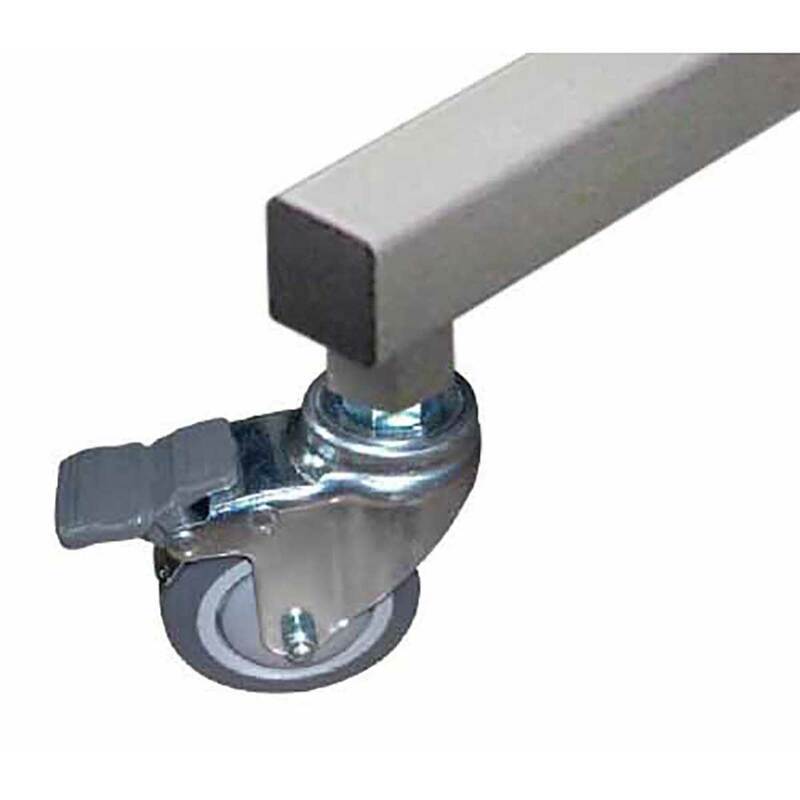 These casters can be added to the base in place of the leveling feet. Casters lock in place to keep table stationary during use. Raises the table 4 1/4"